Shelly Lerew has a birthday today. Shelly Lerew posted a message. I'm excited to meet with all of you! Also, I am the president of the Arkansas Adjusters Association and would like to invite you to get involved. Call me a time at 501-766-6029. 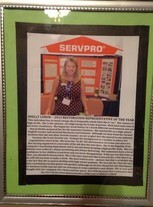 Shelly Lerew updated her profile. View. Shelly Lerew changed her profile picture. Shelly Lerew added a photo to her profile gallery.